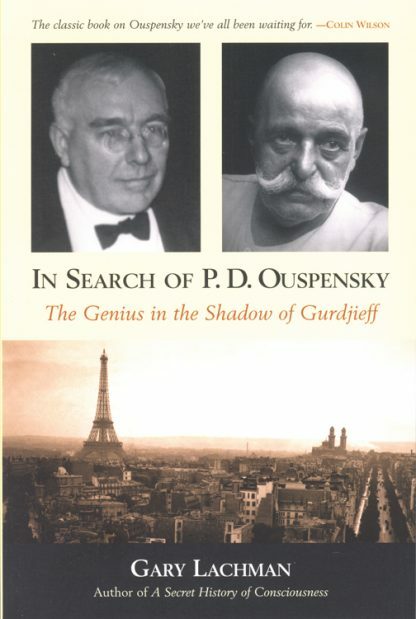 P. D. Ouspensky's classic work In Search of the Miraculous was the first to disseminate the ideas of G. I. Gurdjieff, the mysterious master of esoteric thought in the early twentieth century who still commands a following today. Gurdjieff's mystique has long eclipsed Ouspensky, once described by Gurdjieff as "nice to drink vodka with, but a weak man." Yet Ouspensky was a brilliant, accomplished philosopher in his own right, and some consider his meeting with the charismatic "Mr. G." the catastrophe of his life. Indeed, in subsequent years Ouspensky tried hard, with limited success, to break away. This book moves Ouspensky's own story center stage, against the backdrop of the Russian Revolution, the dervishes of Constantinople, and a cosmopolitan Europe entre deux guerres. The archetypal encounter it describes echoes that of Don Juan and Castaneda, or perhaps Mephistopheles and Faust. One of the great mystical adventures of our time, it will fascinate everyone interested in the farthest reaches of what it means to be human. The paperback edition includes a new chapter on Gary Lachman's own former work in Gurdjieff's psychology.